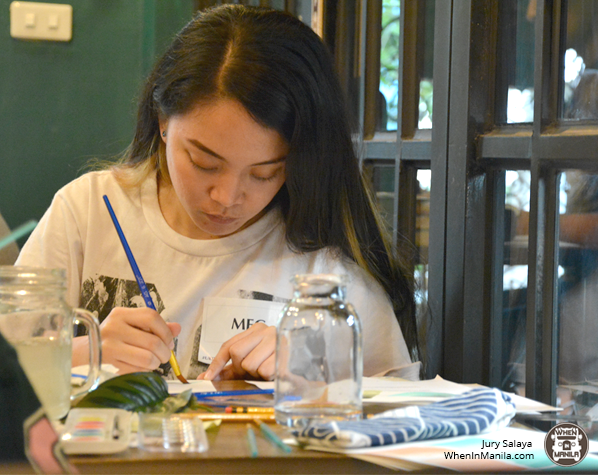 The post Ukiyo: Art Workshops Should be the Next “Barkada” Thing appeared first on When In Manila. Some people feel hesitant to try workshops because they fear that they won’t have the skill a course might require. Well, I was one of those people. Until I realized that it’s the point of workshops: to learn a skill that can help us accomplish what we want to. 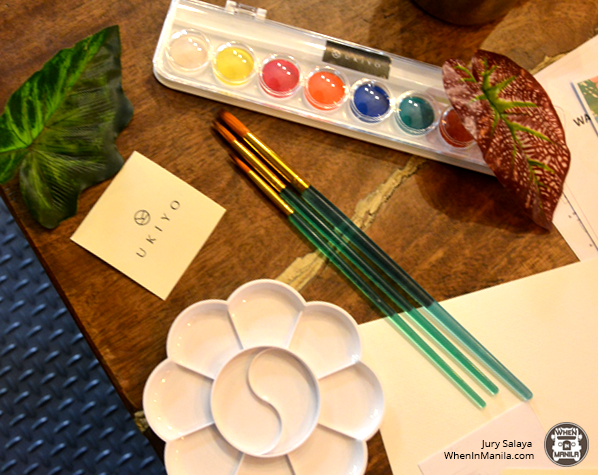 Recently, we attended ALOHA: A Watercolor Workshop by Ukiyo in Project 8, Quezon City. In just four hours, we learned a great deal about color mixing and painting techniques, made our first botanic masterpieces, and had so much fun! Let me tell you all about the experience. It was fun, relaxing, and therapeutic. 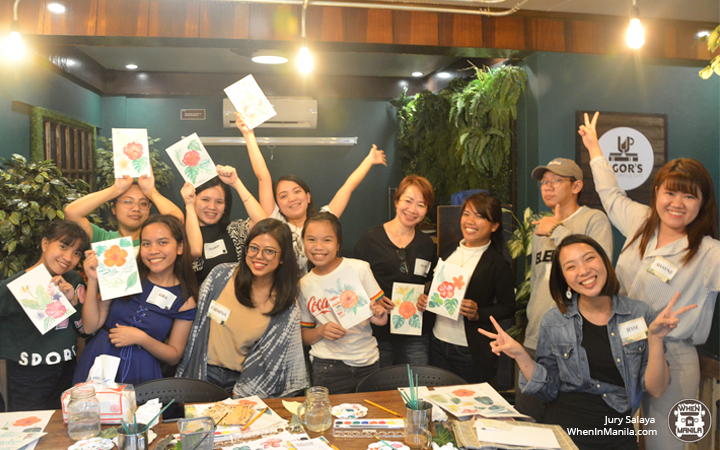 Ukiyo’s workshop provided us with a much-needed distance from our stresses and worries. We had to concentrate on our creation, and I felt as though it was the most peaceful four hours of my life after a long time. 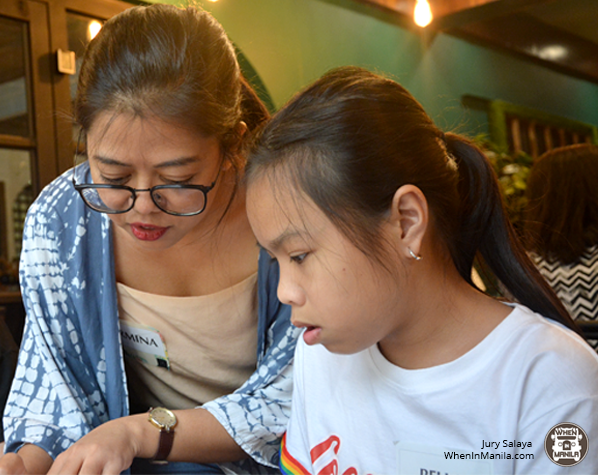 It also helped that the instructor and organizers were very accommodating and approachable. 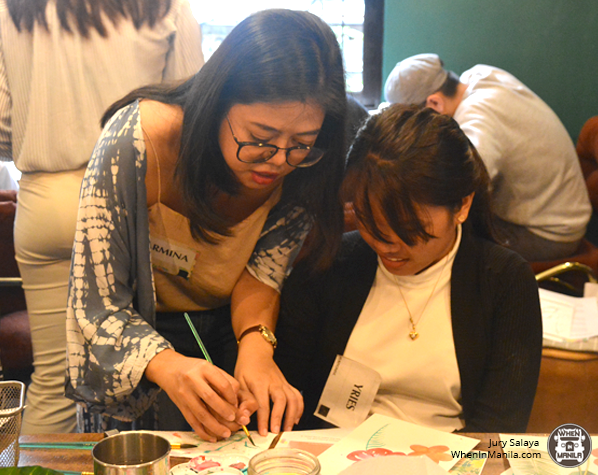 While the instructor was very attentive and hands-on, she made it a point that we were able to express ourselves in our paintings. We chose our color mix and developed a personal style. Ms. Carmina showing us how to make a 3-D ball painting. Painting beside a professional was such an interesting experience. We got to see how she manipulated the paper, water, and gravity. The workshop attendees, all happy with our creations. And that was all I needed! As a beginner myself, I can say that I have learned a lot in that four hours. But, I’m not going to elaborate on that here. You have to go on a workshop with Ukiyo, yourself to find out! I’m telling you, whether you’re stressed, burned out, or plainly looking for your next retreat or barkada activity, a workshop with Ukiyo might just be it. An overview: Ukiyo is a Japanese word for “the floating world”, which co-translates to living in the moment, detached from the bothers of life. Ukiyo’s mission is to bring activities that will empower individuals to make time for themselves and to discover their passion.